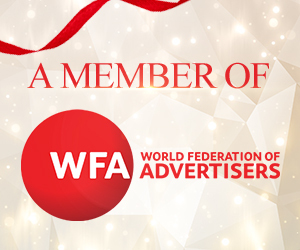 The World Federation of Advertisers (WFA) today unanimously appointed new members to the global leadership team, including senior marketers from AirAsia, Coty, Emirates, L’Oréal and RB. The appointments were confirmed at the WFA Annual General Meeting, taking place as part of the WFA Global Marketer Week in Toronto. Lubomira Rochet, Chief Digital Officer at L’Oréal, Alison Keith, Vice-President, Global Media at Coty, Margaret Au Yong, Director of Media at AirAsia, Boutros Boutros, Divisional Senior Vice-President, Corporate Communications, Marketing & Brand at Emirates and Andrea Bernhardt, Global Media Director at RB are also joined on the WFA Executive Committee by the Phil Smith, newly appointed CEO of the British Advertisers Association (ISBA) and Ander Ericson, CEO of Sveriges Annonsörer, the Swedish Advertiser Association. Ericson also becomes WFA Treasurer joining other WFA Officers, David Wheldon, CMO of RBS and Matthias Berninger, Vice-President of Public Affairs at Mars, both of whom were elected for another term as President and Deputy President respectively. The WFA Executive Committee brings together senior marketers and public affairs executives to reflect the dual mission of the WFA: to help marketers be more effective and efficient in terms of their marketing spend while helping brand owners protect and future-proof their license to operate through advocacy and effective advertising self-regulation. The 40-strong Executive also reflects the dual nature of the WFA membership. 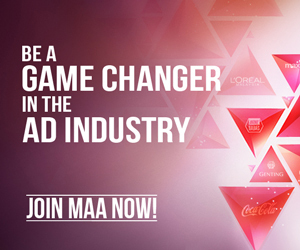 It includes representatives from multi-national brand owners as well as heads of some of the world’s biggest national advertiser associations. Phil Smith and Anders Ericson were elected to the WFA Executive Committee for the first time and join representatives from Belgium, Brazil, China, Canada, France, Germany, Finland, India, Morocco, Nigeria, Norway, Russia, Switzerland, Turkey and the US.